RainWorx has added new Facebook and Make Offer features to its software that allows businesses to create their own online auction sites. AuctionWorx can be used as a single-seller platform, or users can host multiple sellers on their auction sites. The company said enabling visitors to sign in to auction platforms using their existing Facebook login increases user engagement and sale conversion rates. With new capabilities for Facebook authentication, AuctionWorx now makes it easy to take advantage of the marketing potential with social media channels. Enabling visitors to sign in to the auction platform using their existing Facebook login has been proven to increase user engagement and sale conversion rates. RainWorx has also added new Make Offer feature option for sellers to elect to receive offers from buyers. This add-on option for both Auctions and Fixed Price listings opens up the opportunity for buyers and seller to not only negotiate price but also any additional terms in the transaction. Configuration settings allow administrators to fine tune the negotiation process, including Offer Expiration hours, the option for buyers to submit more than one offer on the same item, and the option to submit an offer message. – Updated UI Design and Color Selector: Built-in display options that are accessible as standard settings within the admin control panel. – Azure Cloud Support Improvements: Full support for Azure Service Bus as an alternative to SQL Service Broker enables a clean Azure deployment including full support for SQL Azure. 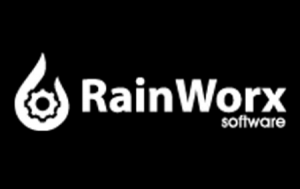 AuctionWorx 3.1 is now available on the Rainworx website.